1 July 2011 by . We have just concluded Easter Time with the great solemnity of Pentecost and went through another great solemnity, that of the Holy Trinity. And it was just the day after the celebration of the Holy Trinity that Jesus dictated the following message to me, where he explains how we can come to know God and the mystery of his Trinitarian life. Everything is focussed on the person of Jesus Christ and it could not be otherwise. He is the Way, the Truth, and the Life; only through him, the light of the world, we can penetrate the great mystery of the Most Holy Trinity and come to know God the way he is. It is not a matter of rational knowledge, but of a deep knowledge born from the offering of ourselves to God. We receive it as a gift, a talent we have to make bear fruits. With all my heart I hope you can come to know and to love the One and Triune God more and more who loves us above all our hopes. Greetings from the heart. I will ask for you every blessing in Christ. “I bless you children and today I wish to speak to you about the great mystery of the Most Holy Trinity that you have remembered in the Liturgy just yesterday. It is the literally mystery that many have tried to penetrate for centuries without being able to. Why? Because this great mystery cannot be penetrated with the power of reason. It must simply be accepted in the spirit, without discussions. However, this does not mean that you should not understand it; on the contrary, you are called to enter the mystery of the Most Holy Trinity, not on your own, but by means of that sublime knowledge that God grants to those who seek him with a simple and sincere heart. I wish to explain a few things in order to help you to understand. I will indicate a few points that will be useful for you to reflect and for getting closer to the mystery of the One and Triune God, whose life fills the universe. Above all know that the mystery of the Most Holy Trinity is revealed in the life that is donated. It is not something obscure and inaccessible, reserved for a few. No, children, the mystery of God is nothing else than the unveiling of life that donates itself to you. Life abounds in God and is at the disposal of every creature who wishes to have it within. The mystery of life remains hidden to man only if he does not enter in a deep relationship with God, who is the source of life. But if man loves God and offers himself to Him with faith, then he will receive the knowledge to understand divine life. Then the mystery becomes light, because the life of God is light. All of you are called to understand what your life is all about and what inestimable value this life holds within, but not just for yourselves but for your neighbour as well. Life is the irradiation of divine life, work of the infinite love of the Father, the Son and of the Holy Spirit, who unceasingly impress in you the divine laws which guide you to what is good. The more you will be united to God the more you will know his laws and the mystery of Trinitarian life will open naturally before you. Then you will come to know the Three Divine Persons, you will perceive them acting in you, you will enjoy their presence and their love. In the way God donates himself to you, you are also called to donate yourselves to him. 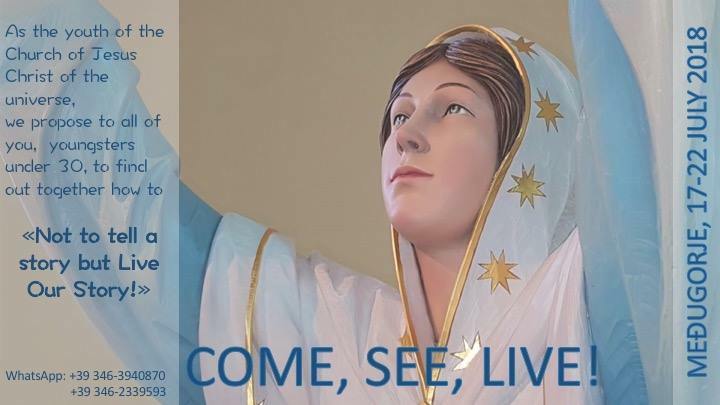 Many times I spoke to you about the offering of life through the Immaculate Heart of my Mother. Today as well I am repeating to you that you will not be able to enjoy the fullness of life if you are going to clench it in your hands. No creature is able to orient his own life according to the laws of God, if that person does not offer herself to God. To donate one’s life means to give God the permission to transform your existence, to modify the negative attitudes that condition your life and to renew your thoughts. In other words, it means passing from death to life, from not-being to being in fullness and perfection. Do not be afraid, because if God asks something of you, it is only to give you something better in exchange. If you give him your life which is sometimes so frail and ill, you will get it back whole and perfect, the way it was when it first came out of his hands, as it was before the negative experiences of life and your wrong choices weakened it. One more time I am inviting you to reflect and to decide to sincerely donate yourselves to God. The mystery of the Most Holy Trinity is revealed in the love that is communicated. God continuously comes out of himself in order to donate himself. The Father loves the Son, he donates himself to him and sends him to you; in his name you receive the Holy Spirit from the Father. The Son loves the Father and offers himself to him; he accomplishes the healing work of redemption, unceasingly elevates the entire creation to the Father in the power of the Holy Spirit. The Holy Spirit loves the Father and the Son and is loved by both; he descends from both and touches all creation with his love; his love reaches every corner of the universe and every creature. In a deeper way he touches man, he reveals himself to man’s spirit; then he returns to the Father and the Son. This incessant spiral of love between the Three Divine Persons which involves every created thing is the Trinitarian vortex, by means of which the Most Holy Trinity acts in creation and in man. In each of you the action of the Three Persons proposes itself in an identical way: the unceasing exchange of love and donation between the Father, the Son and the Holy Spirit and their action in your spirit generate in you the Trinitarian vortex from which you receive life and blessing. If you accept being absorbed by the Trinitarian vortex of love which works in you and around you, you will fully enter into the mystery of the Most Holy Trinity and understand its very essence which is love. You can reach this by offering your life to God in faith, hope, and love. It is not necessary to be very intelligent or erudite because a simple heart that loves God enters into the mystery of God. Know that the deepest desire of the Most Holy Trinity is that of being known and loved by man. If man, on his part, wishes to be known and loved by his Creator, God’s love and that of man meet each other to be united in reciprocal donation. This opens your being to the true knowledge of God, which is far above human knowledge or any other theological study on the Most Holy Trinity. The mystery of the Most Holy Trinity is revealed in the light that enlightens you. God gives you his light which is strength and intelligence; it opens your eyes to the sense of life and enlightens the steps you have to take towards what is good. God is infinite light and with his light he attracts you to him, surrounds you and is over you so that you might know him. The light of God is not a poetic image but a force of spiritual and physical nature carrying life within itself because it is life. God wishes to give you his light. If you are willing to accept it you will deeply understand who God is and what he can do in your life. This light will fully reveal to you the Trinitarian action beyond the limitation of your nature. In fact, the light of the Most Holy Trinity has the power to elevate your inner intelligence up to reaching the highest summits, irrespective of what you are able to understand rationally. Inner knowledge has nothing to do with scholastic or intellectual knowledge because it is born from your spirit who is created to know and love God. He knows how to awaken this knowledge, as long as you permit him to do so. The mystery of the Most Holy Trinity is revealed in communion. The Three Persons of the Most Holy Trinity live the perfect communion with each other; this is the model you must follow in your relationship with God. What is communion? It is not a simple relationship of affection or friendship; communion implies the ability to offer oneself for the other. The basis of real communion is the donation of oneself, not sympathy or simple compassion. Therefore, if you accept to offer your life to God you will be able to enter into communion with him. If you donate your life to God for your neighbour you will be able to live in communion with your neighbour. This communion forms God’s people. It is not just a gathering of people who follow a common ideal, but a body whose members are deeply united with one another and receive and offer the same life coming from God. They are not looking for their own interest by selfishly searching for a good living, but they offer themselves to God for one another in order to come to know God together, the Supreme Good, from whom happiness descends. Yes, children, happiness never comes to you just as an end in itself and it may not be sought just for its own sake. Happiness is the fruit of the Holy Spirit and derives from the sincere dedication to God and to others. You will never be happy if you will seek happiness as an end in itself perhaps making use of some human method. On the contrary, you will be happy if you will seek God, from whom the fullness of life pours out, which is true happiness. Authentic communion fully unveils to you the mystery of the Most Holy Trinity, since reciprocal donation which is the source of communion is the very essence of life that flows between the Three Divine Persons. Thus, the communion of Saints manifests the action of the Most Holy Trinity, and is an immense force working in the universe. When you sincerely offer yourselves to God, the Holy Spirit unites you in communion with Mary Most Holy, the angels, the saints, the just of every time, who live in the heart of God. United in this communion, you are manifesting to the entire universe, to the living and the dead, the love and power of the One and Triune God, and you will more and more understand the mystery of the Most Holy Trinity which is love. The mystery of the Most Holy Trinity is fully revealed in me. What I said to my contemporaries I am telling you as well: I came upon the Earth as the Good Shepherd to pasture my flock and to give my life for my sheep. I came so that you might have life, and have it to the fullest. Which life? Certainly not the one the world proposes you, but the life of the Most Holy Trinity. If you love me and desire to follow me on my pathway which is not easy but secure, you will find life. Finally you will be able to quench that thirst of love that torments you, that you are never able to satisfy and that many times leads you on tortuous and treacherous roads. I am the love that donates itself to you. I am the light that the Father sent into the world to show you the true way. I am the Teacher that does not deceive, the friend that does not betray, the companion that does not wound. I am the seed of life that germinates inside you, if you welcome me and want to share the walk of this life and beyond this life with me, because I will not leave you, not even after death. My love follows you always and everywhere. Many times you ask me to help you to love me more and you do well! But today I am the one asking you something: I am asking you to allow me to love you entirely. Let me love you! Do not be afraid to show me your wounds, I am the Doctor that heals. I do not turn my face from your wounds, I have already taken them upon me, don’t you remember? I carried your wounds to the Cross and healed them with the balm of my love. Do you want to do something for me? Then allow me to do something for you. My Father loves me and sent me to the world with the power of the Holy Spirit which works in me and with me. He sent me so that I might reveal to you the life of the Most Holy Trinity which is the true and eternal life and to introduce you to this life. I love the Father and I bear witness to him, I unite you all to me to take you to him. The Holy Spirit loves me and bears witness to me, he communicates my thoughts to you and prays in you. He unites you to him so that I might unite you to the Father. Here is the marvellous work of the Holy Trinity in you! It is an unceasing and powerful action; it is the vortex of the sublime and purest love that many unfortunately do not know because they reject it. You can come to know the One and Triune God only if you know me because I am the Way, the Truth, and the Life. There is no other pathway for you to arrive to the true God. Knowledge, if authentic, is always love: one gets to know only what he truly loves. For this reason you cannot come to know the One and Triune God if you do not love me and if you do not recognize me as the Son of God and your Saviour. You cannot love God without me and if you do not love him you do not know him. The more you will be united with me, the more you will love the Father, the Son, and the Holy Spirit. You will know the Most Holy Trinity and its life will explode in you, it will bear lasting fruits and will be a true testimony of resurrection, which the world is awaiting of the children of God. Understand now that life in God is simple, because God is simple. He loves and lets you love him, he rejoices for the good you have, he sustains you when you are suffering and forgives you when you make mistakes. Do the same, do so with yourself and with others. This is God’s life, this is the great mystery that enwraps the universe, that of the Most Holy Trinity; it is nothing else but love. Enter this life through me and with me and you will understand this great mystery; I promise. 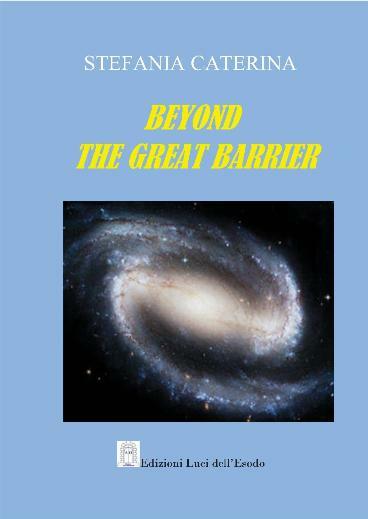 I spoke extensively about the Trinitarian vortex in the book “Beyond the Great Barrier” chapter 1 and 12.